For many connoisseurs of South Indian curries in Johor Baru, it must be Kerala Restaurant for a satisfying banana-leaf meal. and Rose Ann Donough; Note the chunky cash register! This landmark restaurant which was situated along Jalan Ibrahim, has been serving food that meets the tastes of fans of Indian cuisine, ranging from homesick immigrants from India to Johor royalty. Since its inception in 1949, Kerala Restaurant has become synonymous with good Indian food in JB and gained a host of loyal diners as it developed into a household name. During my secondary school years, I often walked pass this restaurant with my classmates on our way to the town library, which was then situated next to the Main Post Office. And I distinctly remember that gentleman who was seated behind the cashier’s counter. Jalan Ibrahim; Note the modern electronic cash register! When we had a little extra pocket money, we would go into Kerala Restaurant for a snack. I also remember enjoying my first taste of dosai and how I was initiated into the art of eating with my hand off a fresh banana leaf. This was also where I learnt the table etiquette of how to fold the banana leaf after I had finished eating. Then we would go to the counter to pay the gentleman-cashier before leaving. 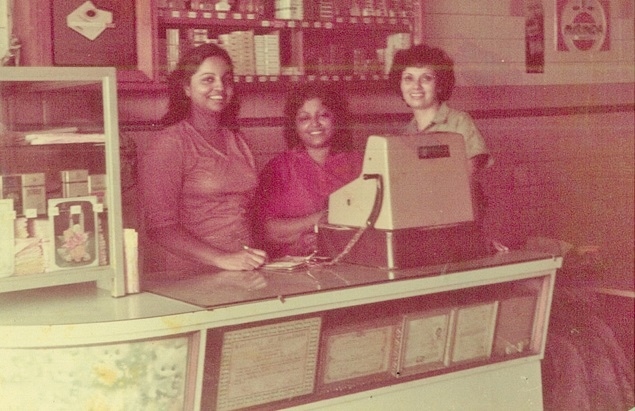 In those days, the cash register was a chunky-looking machine where the cashier would punch a few buttons in front (quite heavily!) so that the cash drawer below would pop open. I did not give much thought to all these details until much later when I noticed that this same gentleman, V.V. 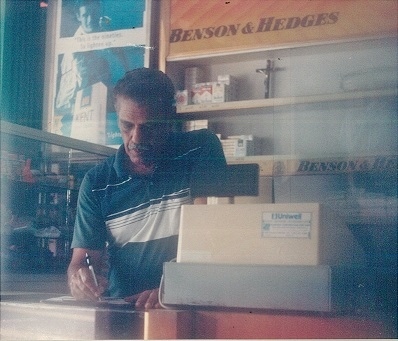 Joseph – who is now aged 91 – is still managing the cashier’s counter at Kerala Restaurant! After being in business at Jalan Ibrahim for 55 years, this restaurant moved to a new location at No. 77 Jalan Storey, a road that borders Kim Teng Park residential area. I’m familiar with Emilda Corea, grand-daughter of the founder, Meachery Joseph Francis, better known as M.J. Francis as well as her mother, Teresa, and her aunt, Celine. While I was doing city and community news for NST Streets Johor, I would cover school events at the Johor Baru Convent when Emilda was then leading the award-wining school choir. Teresa and Celine were M.J.’s daughters and JB Convent alumni, who worked with the restaurant for almost 40 years. And I can never forget their sweet smiles that greeted us every time we were in the restaurant. This was because we often dined there with our brother-in-law, who was a great fan of their Indian curries and gravies. At that time, the upstairs section was opened and we could dine in air-conditioned comfort. Kerala Restaurant is indeed an established brand in JB and I wanted its story to be documented in my next book, along with the Heritage Trades that are still being carried on by third or fourth generation family members. So I tracked down Emilda who connected me with her husband, Eugene P. Kurisinkal, who’s currently running the business with the help of Uncle Joseph, the gentleman still manning the cashier’s counter! Then we sat down together to let Eugene and Emilda share the story of their family business with me. Using a collection of old photographs, they helped me understand who’s who in the family and as the story unfolded in chronological order, I felt deeply honoured and privileged to share their story. It was interesting to learn of how the founder, M.J. Francis Senior, arrived by steamship from India, which docked in Penang (not Singapore!) and that he first opened a provision shop in Masai before starting Kerala Restaurant in JB. Emilda was glad that I’m familiar with Masai, probably because she read my story, Going back to Masai-chusetts, under Memories in My Johor Stories: True Tales, Real People, Rich Heritage. When the business shifted from Jalan Ibrahim to Jalan Storey, Eugene put up a signboard to direct regulars to their new location. In those days, in the absence of social media to share such vital info, diners who reached the Jalan Ibrahim address and saw its doors closed, were shocked and disappointed. This was because someone/something had carelessly removed that signboard which Eugene had carefully put up to notify about their relocation. After about six months, regulars finally found Kerala Restaurant again at Jalan Storey. I couldn’t help laughing when Eugene said that the first thing these diners did when they came into the restaurant, was to scold Uncle Joseph! This was probably a ‘friendly’ scold to express their frustration for being unaware that Kerala’s menu of their favourite food was still being served at their new premises and they did not have the address until now! Without wasting any more time, they then stopped scolding and sat down to enjoy the food that they had sorely missed. To this day, Kerala Restaurant still serves a full banana-leaf rice meal for lunch while breads like dosai, idili and apam are mainly served for breakfast. I’m thrilled to include my story on Kerala Restaurant into the Heritage Trades section of my book sequel, My Johor Stories 2: Interesting Places and Inspirational People, and even picked a classic photo of Uncle Joseph to add into its cover design. In this old photo which Eugene shared with me, Uncle Joseph was seated behind the Kerala Restaurant cashier’s counter with a full view of that chunky old cash register. Meanwhile I had arranged with a few heritage traders that included Kerala, to cater some items so that guests at my book launch event will not only read about them, but may also taste and experience their food. It was mid-afternoon when I popped into the restaurant to meet Eugene to talk about their catering. And there, I saw a much-aged and bespectacled Uncle Joseph, still steadily attending to a paying customer. I tried not to stare but it was simply fascinating to watch Uncle Joseph managing the ultra-modern cash register and it was so cool that he was even using its touchscreen! A few customers were just finishing their meal but diners still trickled in for a late lunch. I could not help but noticed that the diners – Malay, Chinese and Indian – were all united in agreement about the familiar food they so enjoyed in Kerala! is featured in the middle of top row! While Eugene and I talked, my eyes strayed to peek at these diners, happily eating their meals – some by hand. This comforting sight assured me that the food that I had requested Eugene to cater for my event, would also be delightful for my guests. Then we discussed the proposed food items, its packaging, quantity and delivery. When Uncle Joseph wandered over to our table – ready to leave for the day – I took the opportunity to show him the cover design on my book that also featured his photo. He seemed rather confused by the attention and when I presented him with an invitation to my launch event, Eugene gently explained that I had featured Kerala Restaurant among the heritage traders in my book. As our discussion came to a close, I heard Eugene say something but I kind of missed it while I was preoccupied with putting away my pen and notebook, and getting ready to leave. He then repeated himself, reiterating that this catering for my event would be provided with Kerala’s best compliments! I think my heart skipped a beat! I was simply overwhelmed by such goodwill as I shook Eugene’s hand (not too vigorously, I hope…) to thank him for his support! Thank you Eugene and Kerala Restaurant, ever so much for your kind generosity!